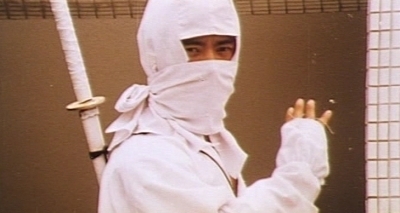 Distributed complete by Tomas Tang's Filmark, Ninja Condors 13 sees Lo Rei and James Wu do the ninja together again but perhaps repeating the formula that worked so well mid ninja-craze isn't as good of an idea when the timeline says 1988. Ninja Condors 13 is missing something ultimately, execution-wise. The technical pieces and knowhow remains strong however, with the opening ninjitsu-demo promising fast paced and creative techniques to elevate our enjoyment. That the movie also amps the violent edge considerably, with revenge being such a bloodthirsty affair that the center of it all can't shed conscience in favour of it, this is the primary saving grace of the movie: Its ruthless, violent nature. Lo Rei is even pushed to the point where he kills an innocent pregnant woman so James Wu crafts a darker world here. A world of a lot of Westerners and the ninjitsu feels amusingly out of place in what is a gangster/revenge tale. But that full plate is welcome, especially since Lo Rei continues to showcase he's a heavy duty and swift action presence. Unfortunately the action team are choreographing these scenes around the Western cast and there's a slight sluggish as well as way too undercranked nature to this aspect. 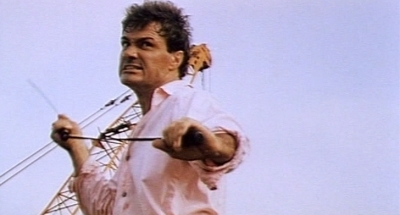 With a heavier reliance on the Asian action crew, I have a feeling we would've had more complete technical achievement in these crucial scenes rather than the way too pronounced artificial nature to them. 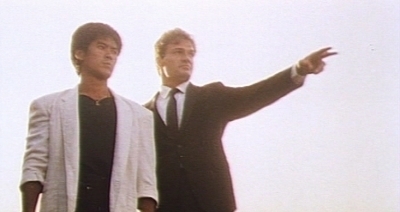 The whole tone of Ninja Condors 13 contains what we've come to love about the James Wu/Alexander Lo Rei collaborations and they're still in tune with how to make ninjitsu on screen entertaining. With the addition of both fun gunplay, pyrotechnics and blood, it wants to be imaginative and is partly. But not being able to complete fully prevents it from competing. Maybe just made one too many times and too late.